Neon lit bars might be very popular right now, but if you ask us, nothing beats the old school inuman session in your (or your friend's) own home. Remember the joy of drinking your favorite gin pomelo and munching on tuna with crackers, all while hanging out in your reliable sando-and-tsinelas combo? Brings back drunken memories, doesn't it? 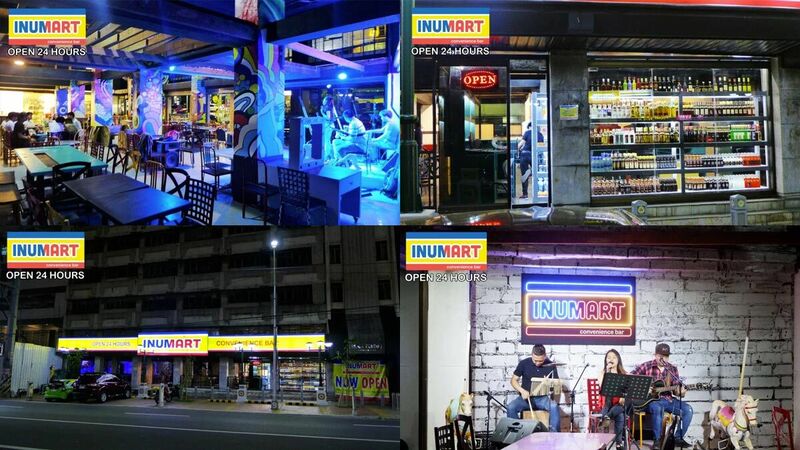 So if you’re missing that homey "chill chill lang" vibe, we've found the perfect spot for the old-school manginginom in you: Inumart Convenience Bar. 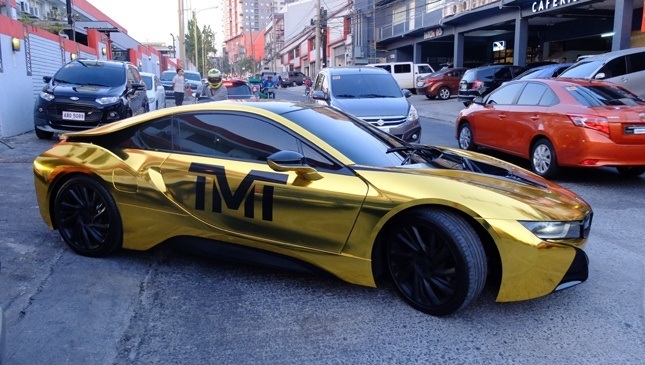 The concept is simple, yet appeals to the nostalgic and easy-to-please public. Once you’re there, all you have to do is get a basket, get your drinks (choose from gin, rhum, brandy, whisky, vodka, wine, tequila, and cognac), grab your favorite chips, pay at the counter, find your own spot, and enjoy the rest of the night. There are no complicated menus, guest lists, and dress codes to follow. 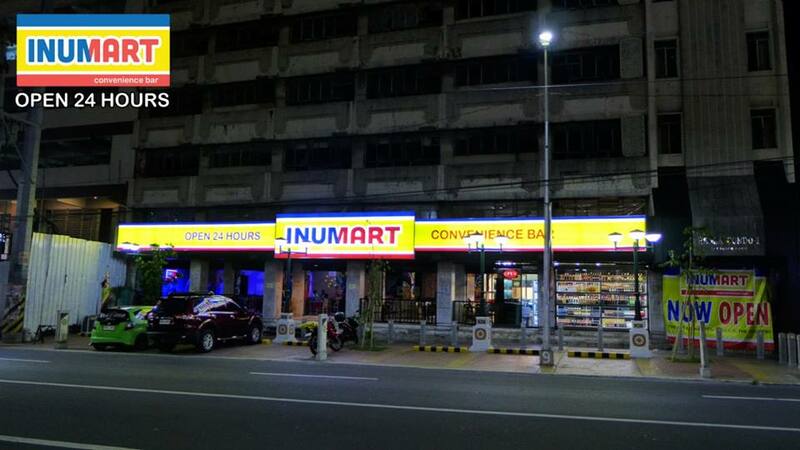 “Kuha, bayad, pwesto—that’s basically what Inumart is,” de Guzman adds. 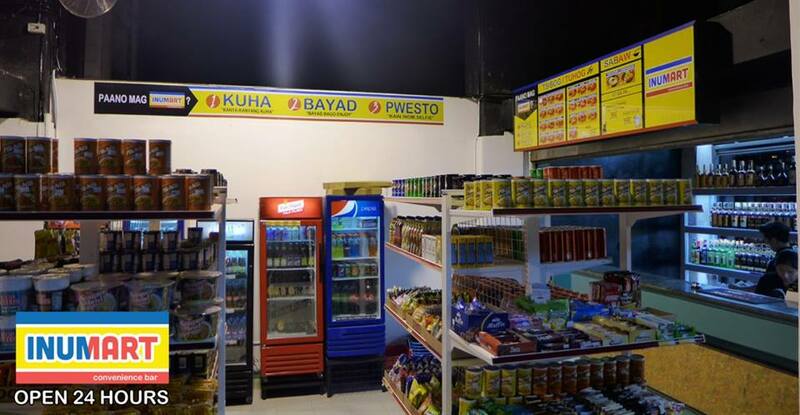 If nothing tickles your fancy, you can also avail of special services/offers such as PALUTO, where you can ask them to cook instant noodles for only P10 and canned goods for only P15; and PAHIRAM, where you can borrow beverage towers and pitchers for only P20 and mix your own cocktails. 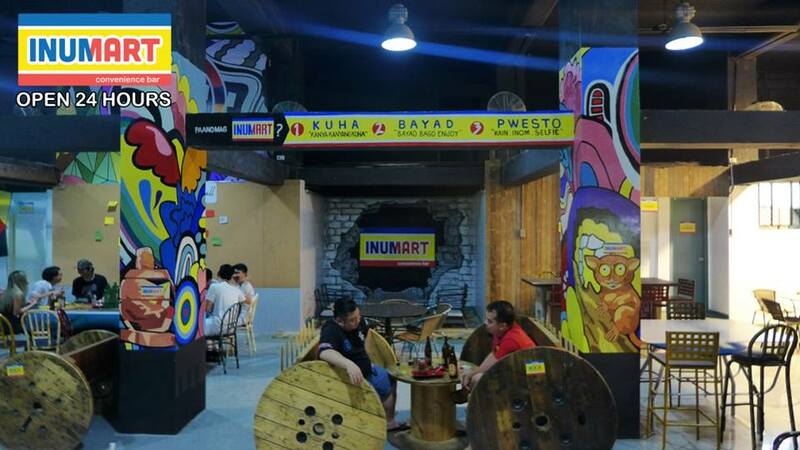 They also serve special pulutan such as their best-sellers Chicken Isaw, Kamatis With Bacon Wrapped Around, Sizzling Sisig, Pares, Tonkatsu Ramen, and Sinigang Noodle Soup. 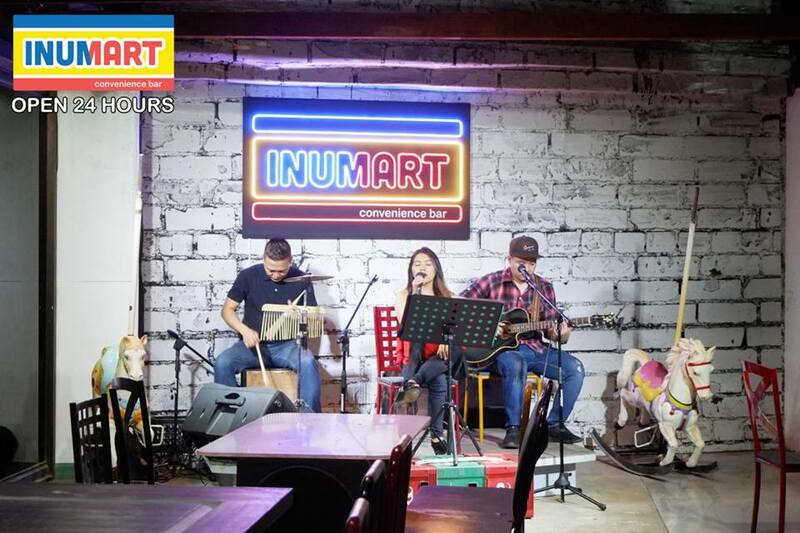 Inumart is a refreshing alternative to those jam-packed (and most of the time, pricey) bars that are taking over the scene. 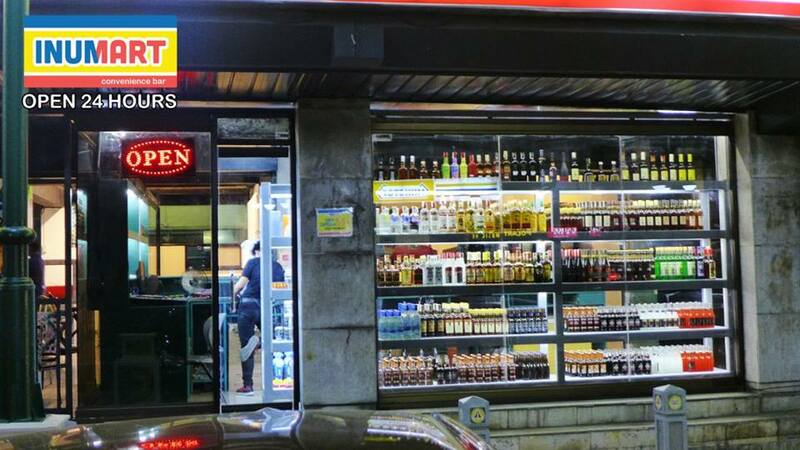 And if you and your bros are on a budget—whether kanya-kanyang bayad or because it's petsa de peligro—and want to spend the night drinking, pwesto na kayo dito.